Well, Monday. Overnight, the white supremacists embarrassed themselves, Tiger Woods fell to Earth and instant coffee overtook it’s trendier cousin. Sort of. 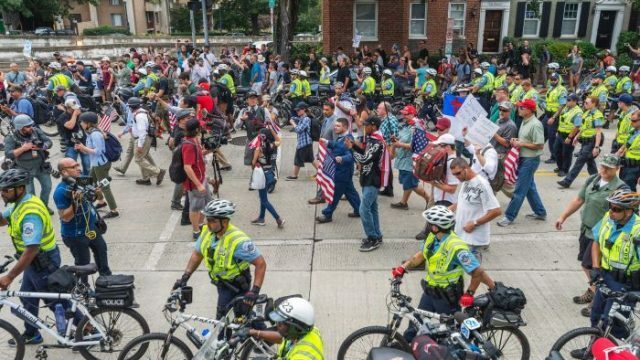 “Unite the Right 2” Rally busts, attended by an angry few. There seems to be little change, beyond the assumption that things are getting worse. Racists are emboldened, those in power who remain complicit with their silence roll on, and clickbait is posted with the worst case scenarios posed as a question we hopefully (but probably) will see the answer of. Twelve months prior, we witnessed the rebirth of empowered white nationalism, as the tiki torch became the object of hate, as Charlottesville became the visceral home of new racism, just like slave-trading Great Uncle Bert used to make. It was particularly heinous. Nevertheless, because freedom isn’t free, and we can’t have nice things, a one-year anniversary was promised. 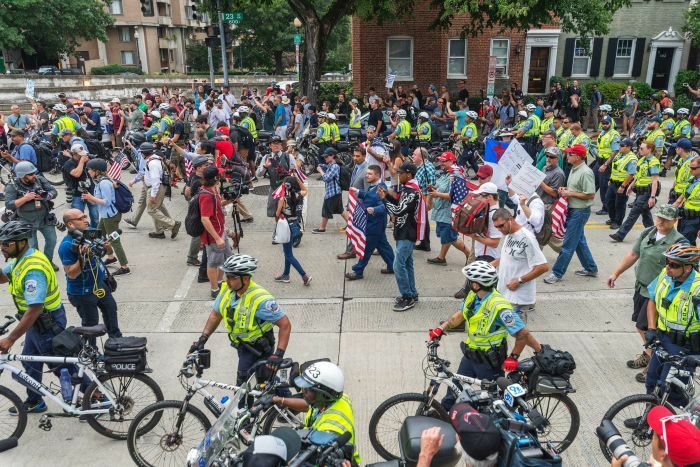 However, while the so-called Unite the Right 2 went ahead, it seems that only a handful actually attended, and they did so heavily surrounded by police. On bicycles. However, if you believe this indicates that neuvo-racism has been crushed under the fluorescent tyres of logic, no. While the “Nazi” has entered the lexicon so easily, it’s easy to assume that they won’t be leaving just yet. As always, the feet may not hit meaningful pavement, but the sentiment remains. Tiger plays golf, as unwashed populace donate all their earthly goods to see him ascend. The Question of Tiger winning again had been one already asked, one not worthy of another loose mirthless assumption. However, there is something that we need to discuss. Tiger has long been a video game, even before he was a video game. For those who are subject to the abuses of golf as a leisure pursuit would attest, occassionally (frequently) when the golf-niverse stooges you (which it will), you tend to evoke some of that ‘Tiger Magic’, but you do so on the assumption that he’s nothing like you, and his game is Mars compared to your embarassing yeah-that-didn’t-count ugliness. However, it seems that you and Tiger are actually bezzie-besties, and daresay, people, as down the stretch of the 2018 PGA Championship, he did something that we’ve all done: Hack it off the tee and audibly register our disgust. Supermarket charges $28 for a jar of instant coffee and it’s a bloody outrage and et cetera. This morning, a spoonful of Australians were staggered at the news that one regional supermarket was charging customers a frankly ridiculous $28 for a jar of instant coffee. Amongst the cries of bringing back national service, plans to Guy Fawkes the lot of ’em and angrily drafted letters to A Current Affair, it also presented this fine nation with an opportunity. You see, there are two types of coffee drinkers that exist in the Commonwealth. There are coffee drinkers and there are coffee drinkers. Two disparate parties, split only by taste (and usually age), whereupon the instant Nescafe fare is regarded as “real coffee” and the real coffee is dismissed as fake and will ne’er touch thy lips. No thank you. I’m not sure why the denial. Perhaps the fact that the instant is cheaper/was rather revolutionary in 1952. However, with the instant version of coffee now the more effete option, perhaps it’s best we lower our guns. If not that, perhaps we should swap camps. Have your responsibly sourced Ecuadorian batch, gran, I’m on the Blend 43.